Because Tim got into Northwestern University! He's been accepted into Kellogg's part-time MBA program. 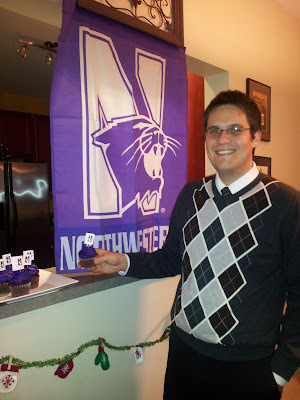 I also went to NU for my master's degree, so this is going to be a really purple house pretty soon. We even got married at Northwestern. very proud of his accomplishment. I special-ordered the cupcakes this afternoon from Wal-Mart. 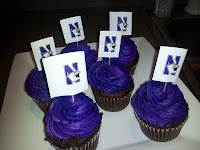 The cupcake picks are the Northwestern logo that I printed out, then taped to coffee stirrers cut in half. That is awesome! 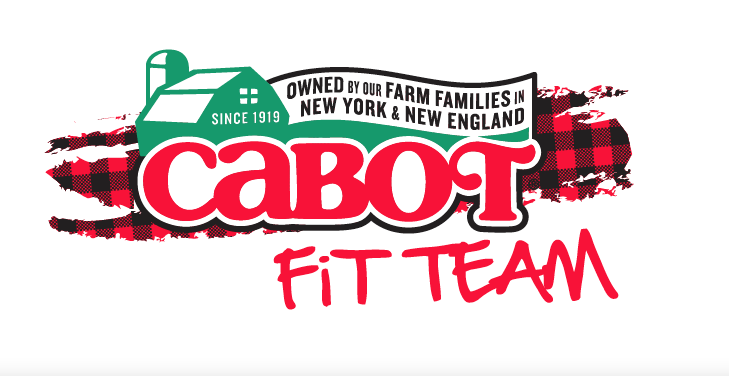 Congrats Tim!